You wouldn’t know it by looking at me but beneath this food-lovin’, book-readin’ and seemingly sedentary exterior lies the heart and gumption of a warrior princess. 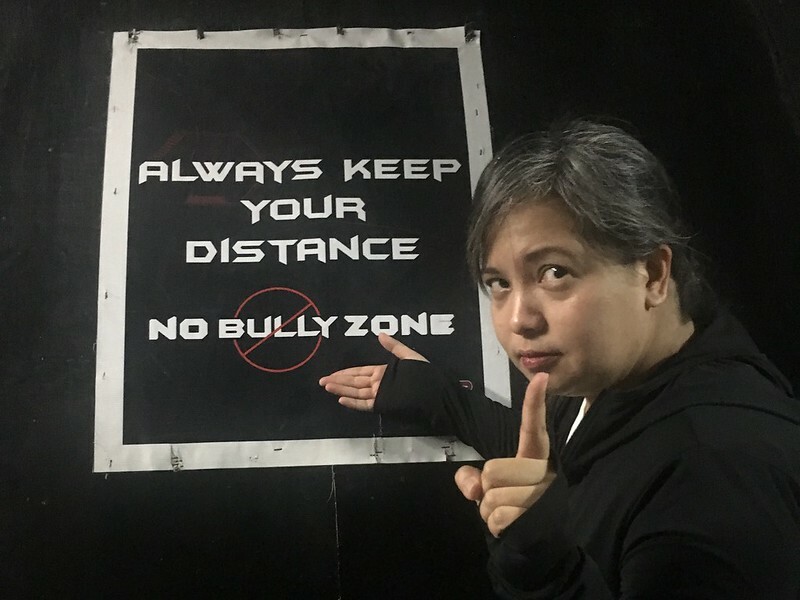 Last weekend, my fellow foodies from #WeLoveToEatPH and I were treated to a rousing game of laser tag at Lazer Maxxx in Greenhills, the first stop of our Launch Pad Crawl. Laser tag is a tag game played with guns which fire infrared beams at infrared-sensitive targets worn by players. The game involves a lot of hiding, running and chasing which, to be honest, left me huffin’ and puffin’ after the game. Well, if there is anything this experience has demonstrated is that this warrior princess does not (yet!) have the body for battle. However, I would like to think that I do have the brains for it. So here are some strategies I employed to survive my first game of laser tag. One: Gear up for battle. Expect to do a bit of physical exertion so it would be best to dress light and comfortably. I had on my Nike LunarEpic running shoes, my trusty leggings and jacket from Uniqlo, and my dri-fit Nike running shirt (a souvenir from my #RunningForFitness days). This outfit is light and comfy, and something I can easily move around and sweat in. The black leggings and jacket also add a bit camouflage against the dark surroundings. Two: Get yourself on high ground. Three: Be a moving target. There’s an old adage about being a sitting duck (it will soon be a dead duck come hunting season) and it did hold true. It was a lot better to let my team’s opponents work a bit harder for their hits by always being on the move, ducking, hiding and running around. Chef Jocen – @boodlebearph – thought he had a great spot behind some props but little did he know, I snuck up behind him and was gunning him down every few seconds or so at my leisure. It took him a while to find me out, hahaha! At the end of the game, we foodies were exhausted but exhilarated. 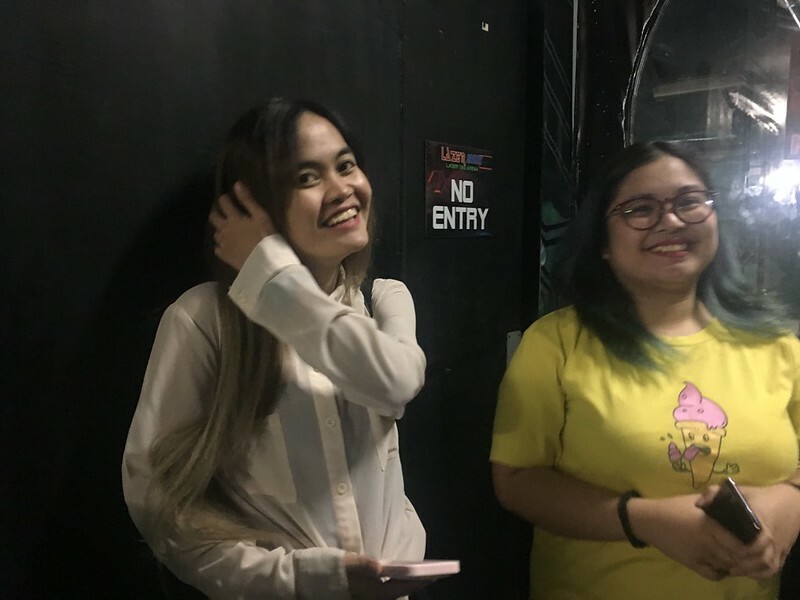 I was surprised to find that I actually enjoyed this physically demanding activity and I would recommend it to friends who want to have a different kind of get-together. And wouldn’t you know it: my team (Pink – together with Jen – @sandundermyfeet – and Bunny – @alwaysthefunnygirl) placed second among the players, with myself (Diggle)racking up one of the highest percentage of accuracy in hits (although, to be honest, that may be when I was just shooting at Chef Jocen behind his back, hahahaha!). 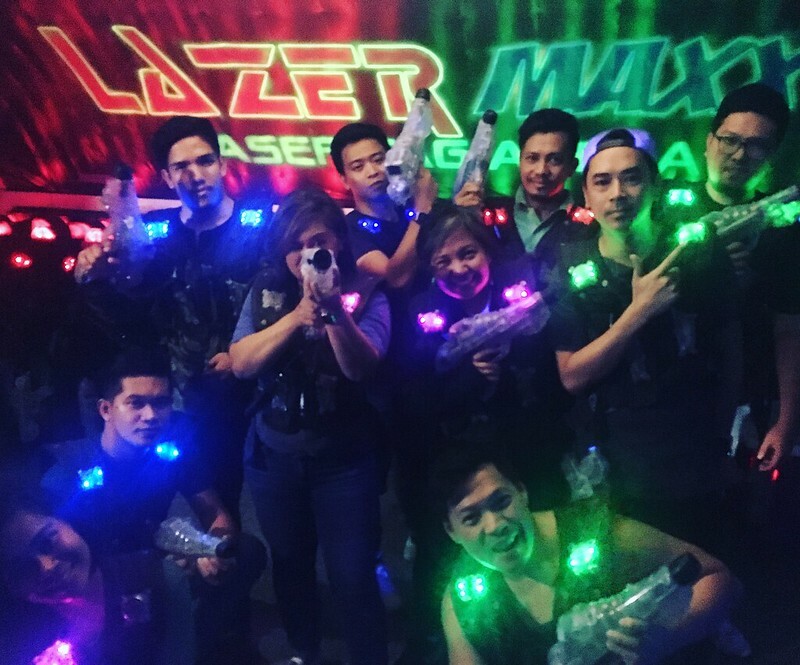 With Lazer Maxx’ specially designed laser tag arena and newly renovated function room where we recovered from our “battle” and bantered with each other, the experience grew from a simple game into a fun bonding experience. Imagine spending a similar Saturday with your own barkada. Many thanks to Lazer Maxx and #WeLoveToEatPH for this extraordinary experience! 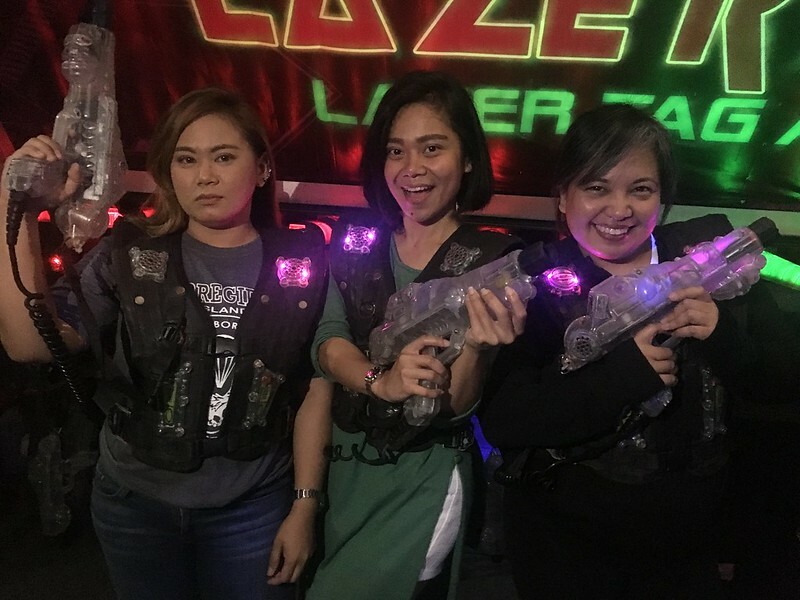 This Lazer Maxx branch is located at the Roofdeck, Greenlanes, Greenhills Shopping Center, San Juan, open Mondays to Thursdays from 12nn to 9pm (at Php190/player) and Fridays to Sundays and holidays from 10am to 10pm (at Php220/player). For inquiries, call +63 2 5845958. Another branch in Metro Manila is located at Centris Walk, Eton Centris, EDSA corner Quezon Avenue, Quezon City. For inquiries, call +63 2 4411958. 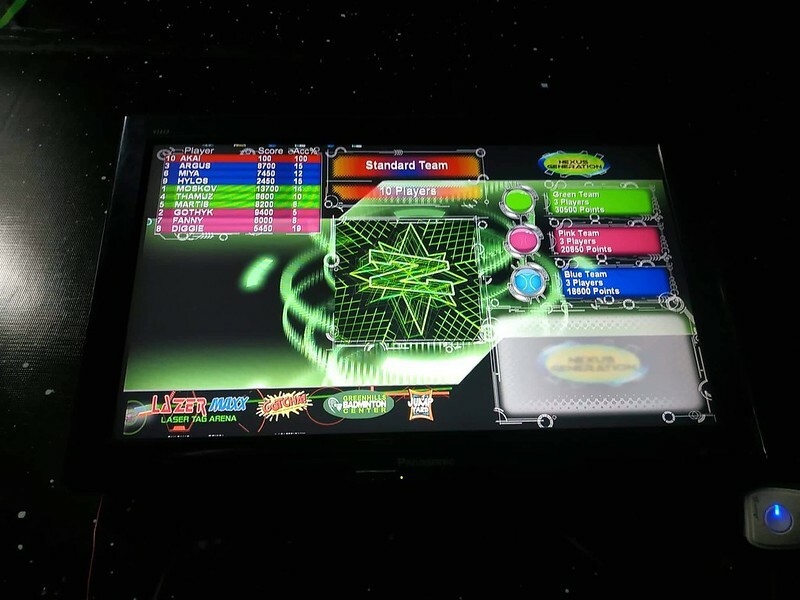 Want to celebrate your birthday at Lazer Maxx? Avail of its party packages for a maximum of 24 players which come with the exclusive use of the arena.